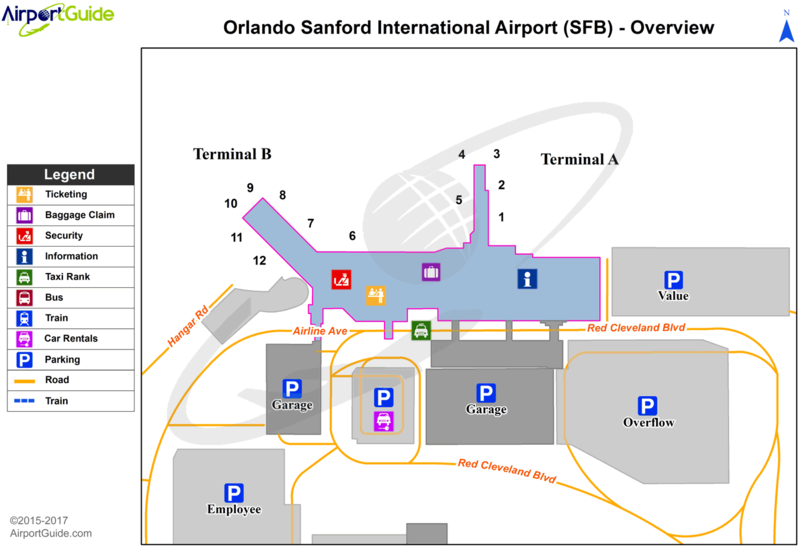 Orlando Sanford Aircraft Sales, Inc.
A110-102 TWY K & TWY K1CLSD TO ACFT WITH WINGSPAN GREATER THAN 80 FT.
A110-103 PAEW ON TRML RAMP WITHIN 75 FT OF TWY C CNTRLN WHEN ACFT USING GATES 3 OR 4. 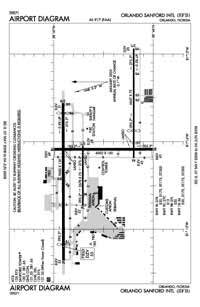 A110-104 TWY 'P' CLSD TO ACFT WITH WINGSPAN GREATER THAN 40 FT.
A110-105 RYS 09C/27C AND 09R/27L NON-ACR USE ONLY. A110-106 RYS 18/36 & 09L/27R PRIMARY RYS FOR ACR OPNS. A110-107 RY 9R/27L CLSD TO AIR CARRIER ACFT. A110-108 TWY P CLSD TO ACFT WITH WINGSPAN GREATER THAN 40 FT.
A110-109 TWY K CLSD TO ACFT WITH WINGSPAN GREATER THAN 80 FT.
A110-2 TURBOJETS ARE TO USE COMPANY FLY QUIET OR NOISE ABATEMENT PROCEDURES, FOR DETAILS CTC ARPT MANAGER AT PH# 407-585-4000. A110-4 DENSE FLT TRAINING ACTIVITY IN TFC PAT & LCL AREA. A110-5 LARGE BIRDS; INCLUDING EAGLES INVOF ARPT. A110-6 ALL ACFT WITH LESS THAN 30 SEATS ARRIVING TO CLEAR CUSTOMS CTC 129.075 PRIOR TO LANDING. A110-8 RY 09R/27L PRIMARY FLT TRAINING RY. A26 CLSD TO REPETITIVE ACR TRAINING OPNS EXCP 24 HRS PPR CTC AMGR 407-585-4000 EXT 4006 OR 407-585-4119. ARFF INDEX E AVBL WITH 24 HR PPR (CHARTER CARRIERS ON PUBLISHED SKED EXEMPT). A33-18/36 RWY 18-36 CENTER 75 FEET WIDTH OF RW PAVEMENT GOOD CONDITION. OUTTER EDGES FAIR CONDITION. A81-APT WHEN ATCT CLSD ACTVT HIRL RY 09L/27R & HIRL RY 09R/27L, MIRL RY 18/36, PAPI RYS 09L, 27R, 09C, 27C, 09R, 27L, 18, & 36 - CTAF. E40-09L RY 09L/27R SLOPE 0.22% UP WEST. Dual Wheel Landing Gear: 279. Single Wheel Landing Gear: 111. Dual Wheel Landing Gear: 183.